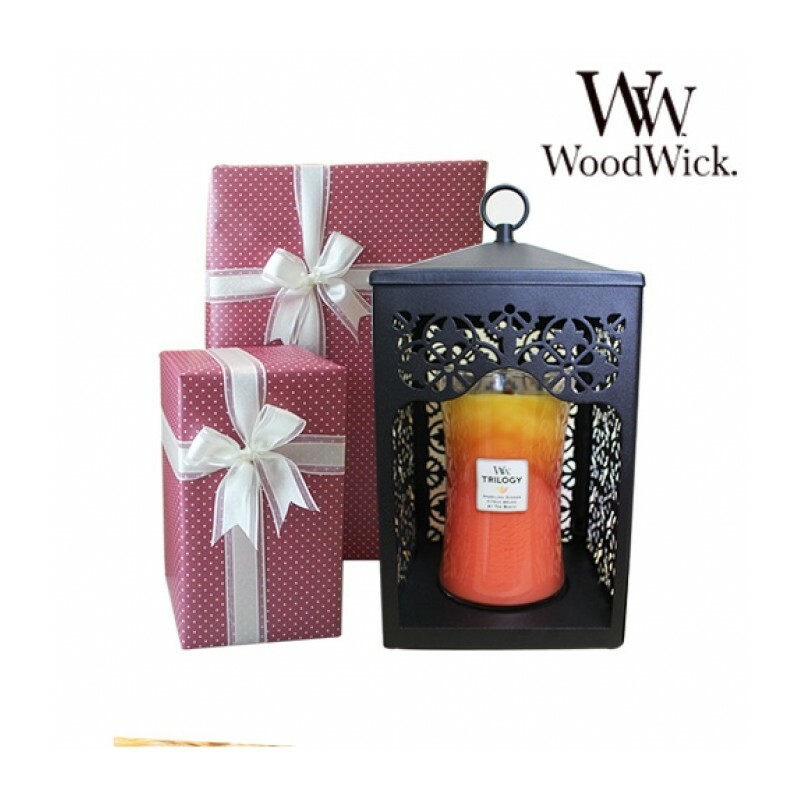 You can choose A Woodwick Candle of Large and Candle warmer from the option. 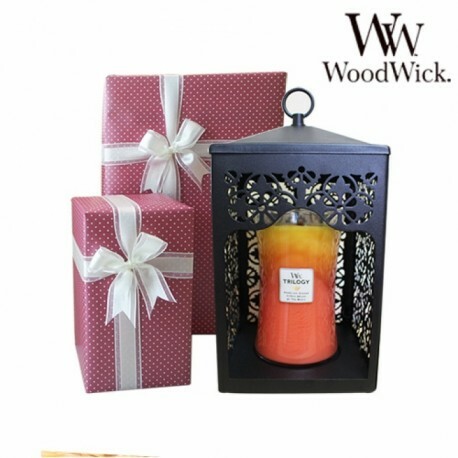 Famous for its soothing sound of a crackling log fire when burning, these luxuriously scented candles are our largest available and will burn for approximately 130-180 hours. Made of a high-quality soy wax blend which produces a slow, clean burn and available in a wide variety of fragrances. 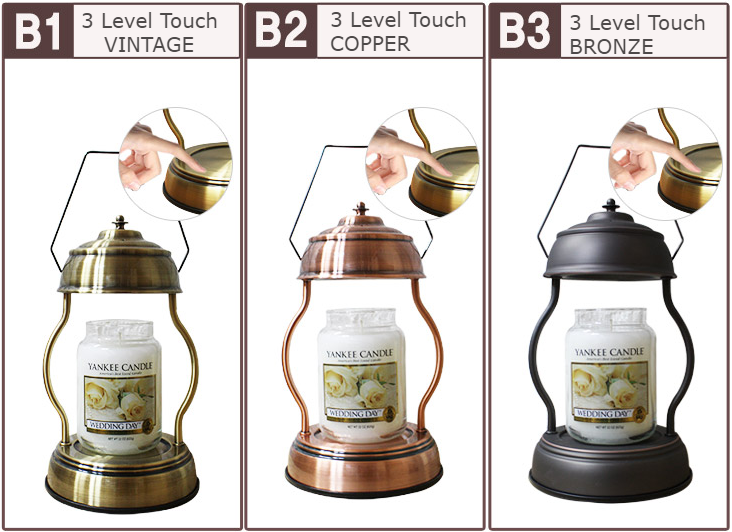 - Dimension: 180 x 300 mm(Hand hanger 380mm), Halogen Lamp: 2EA included, Shown Candles are not included. 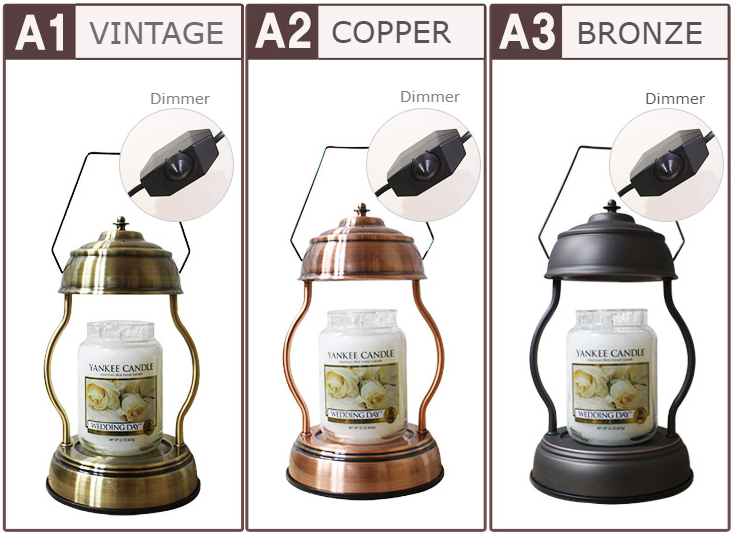 - C1, C2, D1, D2 Dimension: 150 x 150 x 320 mm, Halogen Lamp: 2EA included, Shown Candles are not included. - E1, E2 Dimension: 165 x 165 x 310 mm, Halogen Lamp: 2EA included, Shown Candles are not included. - F1, F2, F3 Dimension: 180 x 180 x 330 mm, Halogen Lamp: 2EA included, Shown Candles are not included.